The Center for Internet Security (CIS) Top 20 Critical Security Controls (previously known as the SANS Top 20 Critical Security Controls) is a set of security best practices designed to prevent the most common and significant cyber threats. CIS pays special attention to privileged accounts as a top security concern. The CIS framework prioritizes safeguards to mitigate the risk of a privileged account breach. For organizations looking to ensure they are prioritizing the right actions with scarce security resources, the CIS controls are a great place to start. Thousands of organizations of all sizes have adopted the CIS controls. CIS provides a detailed framework with actionable guidance for organizations who are looking for prescriptive recommendations on privileged security controls. 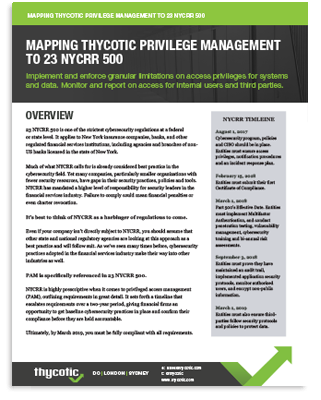 Get our guide to CIS Critical Security Controls to see how your privilege management practices stack up to security best practices.